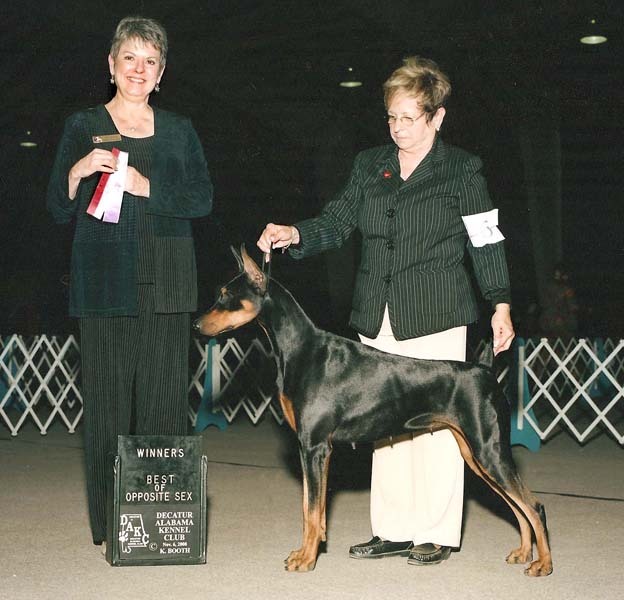 Blackjack Talladega's Bia Nariko - "Nari"
Nari is shown taking Best in Sweepstakes under Matthew Proctor. 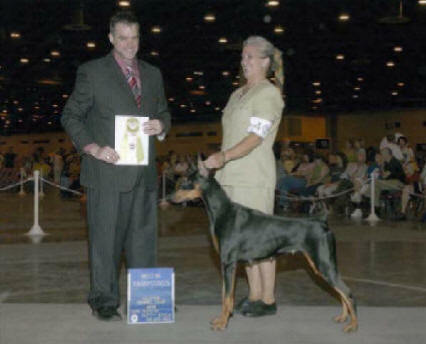 Nari is owned by Blackjack Dobermans. Nari's DPCA page and pedigree.